We're off to Copenhagen for a few days, but every great trip starts with a Starbucks visit. 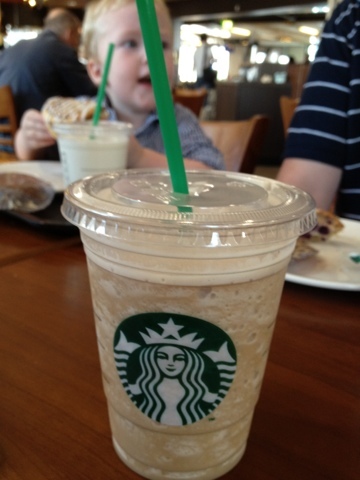 :) I'm a big frappuccino lover! My husband always looks forward to the Starbucks at Arlanda. That is something he really misses from the US. I'm gonna try it this weekend.